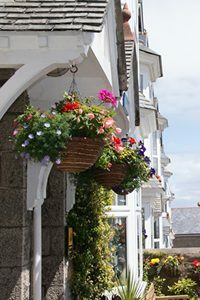 Blue Sky B&B, St Ives, Cornwall, is a granite built Edwardian house in St Ives, within 5 minutes walking distance of the beaches and town centre. Lindsey and Simon welcome you to their home where you can be guaranteed a warm welcome, comfortable beds and a delicious breakfast. 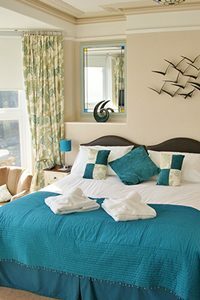 There are three double rooms available on the first floor, all with en-suite shower rooms. 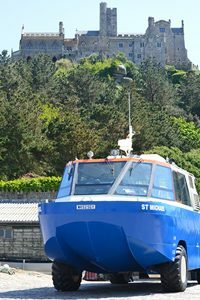 They have flat screen TV, tea and coffee making facilities, hair dryers and broadband wi-fi access. Breakfast is served in the dining room between 08:30 and 09:30 (or by arrangement) prepared from locally sourced produce whenever possible. We want our accommodation to be the best we can make it. So we ask all of our visitors to leave us as much feedback as they can. One way of doing so is via reviews on Trip Advisor. 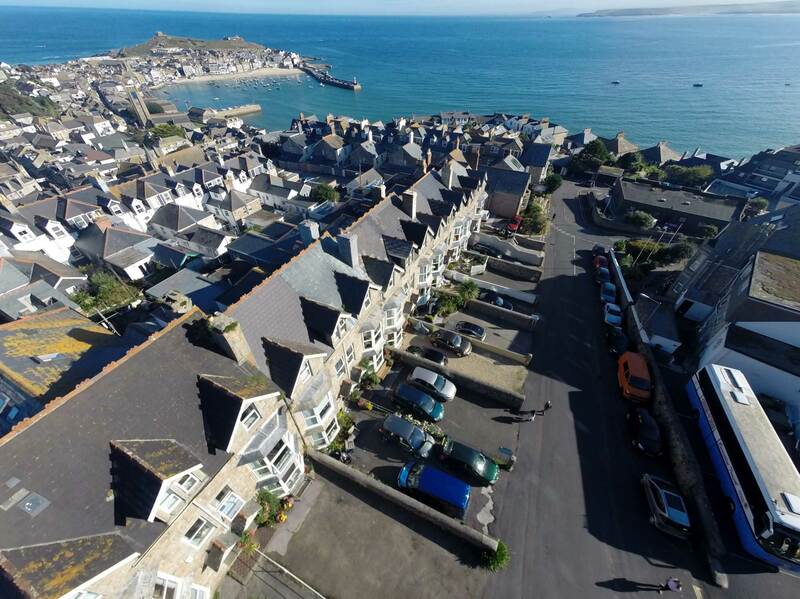 As an independent site reviewing all sorts of accommodation in St Ives and the rest of Cornwall, we are proud to have received excellent feedback. You can see the comments made by clicking the link. 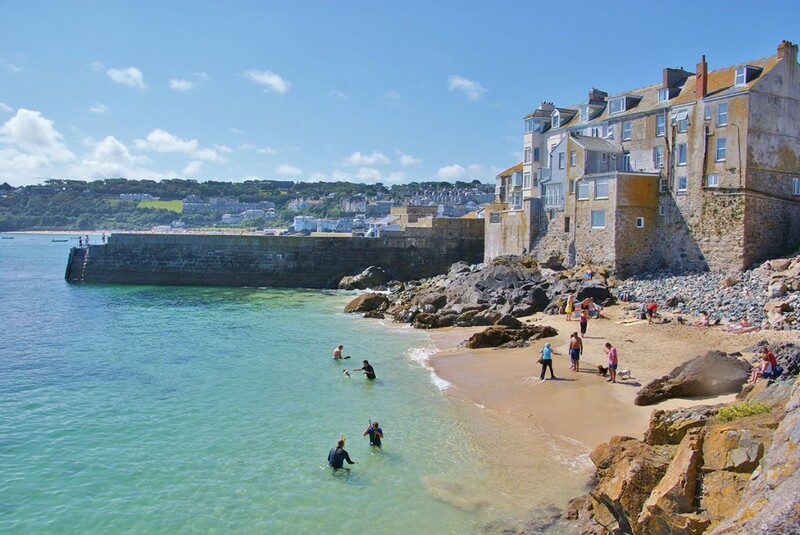 We are constantly updating our Facebook page with local pictures of beautiful scenery, local events in St Ives, landscapes, the local beaches, restaurants, weather, sunsets and of course the blue sky! 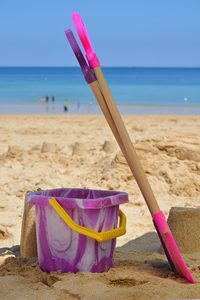 For more information and to see our photograph collections, please go to our Blue Sky Facebook page. 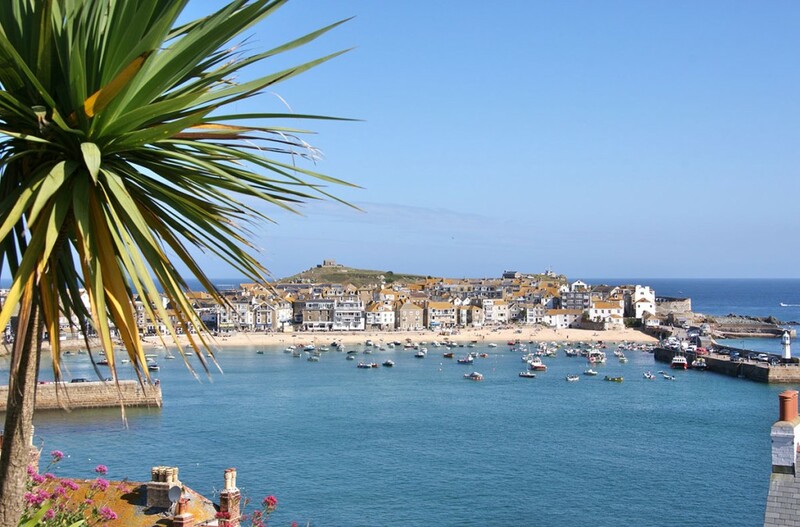 We would very much appreciate a “like” if you are captivated by our photographs and information of the accommodation and local scenery of St Ives! 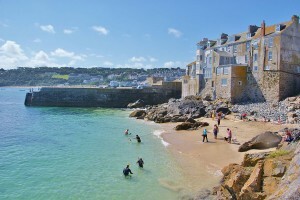 As well as great photos of the area, we also upload the occasion video for you to look at! Here is one of the view from above Knill’s Monument showing both sides of the county. Best viewed in HD! 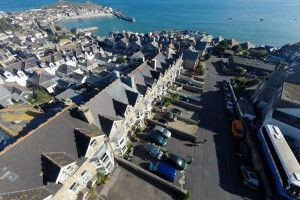 A birds eye view of Porthmeor in this video showing the glorious beach and surf. 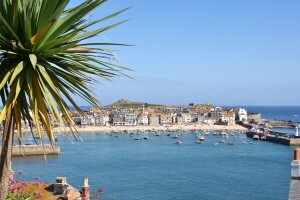 Free advice on places to visit and things to see.